Everything you need to know if you're interested in living in Edgewood, Atlanta. 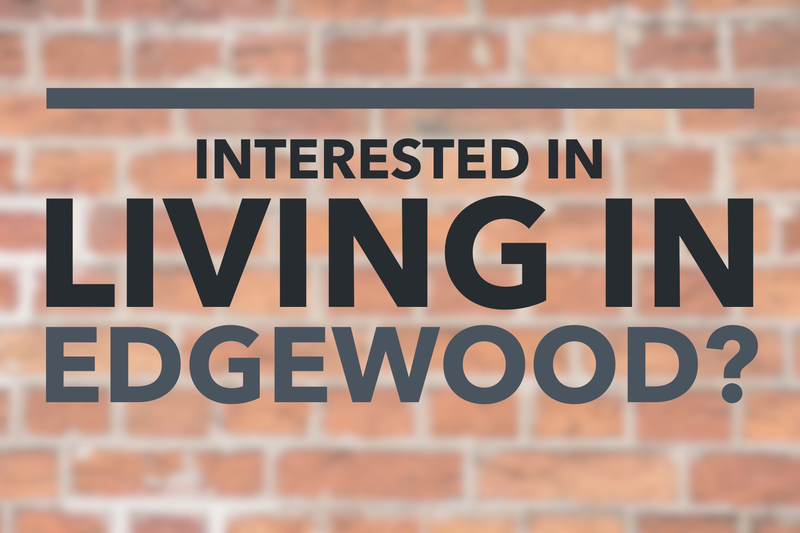 Interested in Living in Edgewood, Atlanta? Here's Everything You Need to Know. 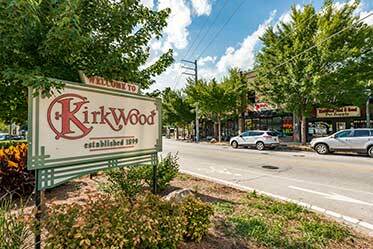 Edgewood, located near Little Five Points (L5P), Cabbagetown, Kirkwood and East Atlanta, is one of Intown Atlanta's most booming and vibrant neighborhoods. It's also an affordable place to live for many first-time homebuyers. Home values in Edgewood have escalated in the past three years, and the neighborhood appears to be continuing its pattern of strong growth. Businesses are thriving; the population is increasing; neighborhood parks, trails, and associations remain active. Homes in Edgewood are available at a wide variety of price points, and entry-level or "starter" homes are still affordable – at least for now. Edgewood offers homes ranging from less than $250,000 up to more than $600,000. Edgewood's most famous retail anchor is the Edgewood Retail District, which opened in 2005. The Edgewood Retail District is a massive shopping complex that houses Target, Lowes, Kroger, PetCo, Barnes and Noble, Best Buy, UPS, Wells Fargo, Chase, Bed Bath and Beyond, and Ross, making it an incredibly convenient one-stop shop. If you're looking for a quick place to eat, the same district also features local and regional restaurants and fast-casual eateries, including RuSan's sushi, Shane's Rib Shack, Uncle Maddio's Pizza, Figo, Morelli's Ice Cream, and more. In the mood for something fancier? One-Eared Stag features farm-to-table cuisine, while Ration and Dram feature upscale American staples like charcuterie boards. Both restaurants are Zagat-rated. 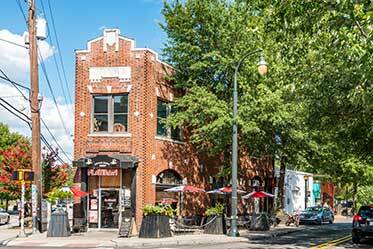 The Inman Park neighborhood, located just a few blocks away, offers an endless array of established, high-end restaurants. 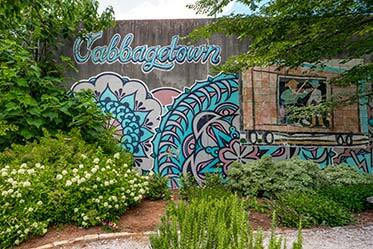 Meanwhile, major Intown staples like the Krog Street Market is an easy journey from Edgewood. If you're looking for some of the city's most fun entertainment, head to either L5P or East Atlanta Village (EAV). Both are located next to Edgewood, making it easy for locals to hit the bars, check out restaurants or enjoy the scene in both spots, but then return home to a quiet neighborhood. More than 100 years ago, during the Reconstruction-era real estate boom from 1870 to 1910, Edgewood was its own town. Originally, Edgewood featured small homes on small lots. Many of Edgewood's historic homes are single-story bungalows that measure less than 1,700 square feet. Edgewood, formerly a working-class neighborhood, tends to feature cozier historic homes while large turn-of-the-century Victorian mansions dot neighboring Kirkwood and Candler Park. The good news? The smaller square footage of many homes keeps prices in Edgewood relatively affordable, as compared to it's higher-priced neighbors. Edgewood home prices often range from $160 to $200+ per square foot. Given the smaller footprint of many of the area's homes, this results in homes starting around $200,000. Looking for a larger home? Edgewood features a few well-maintained early-century Victorian and historic Craftsman homes. These homes are rare (but possible) finds. Talk to an agent right away if you're interested in one of these beauties, as Edgewood's larger historic homes don't tend to sit on the market for too long. Thanks to the recent boom, many modern builders are developing new-construction homes in Edgewood, as well. These include single-family-homes, townhouses, and upscale lofts. New construction single-family homes in Edgewood are typically two-story residences with ample square footage and parking, designed to fit modern lifestyles. If you're looking for a more spacious residence in Edgewood, a new construction home might be your ideal pick. Let's be frank: Traffic along Moreland Avenue near the Edgewood Retail District can be frustrating, particularly during rush hours. But Edgewood locals can zip around on backroads, avoiding the mess on Moreland. Depending on the location of your home, you can take LaFrance, Hardee or Hosea Williams to connect through on the backroads; Whitefoord and Mayson Avenue run interrupted through Edgewood in the cross-direction. These roads all lead to Caroline Street, the road that connects the local neighborhood directly to the shopping district. In short: Locals can use backroads to cruise around Edgewood while avoiding the traffic on Moreland. That's just another one of many benefits of living in Edgewood. 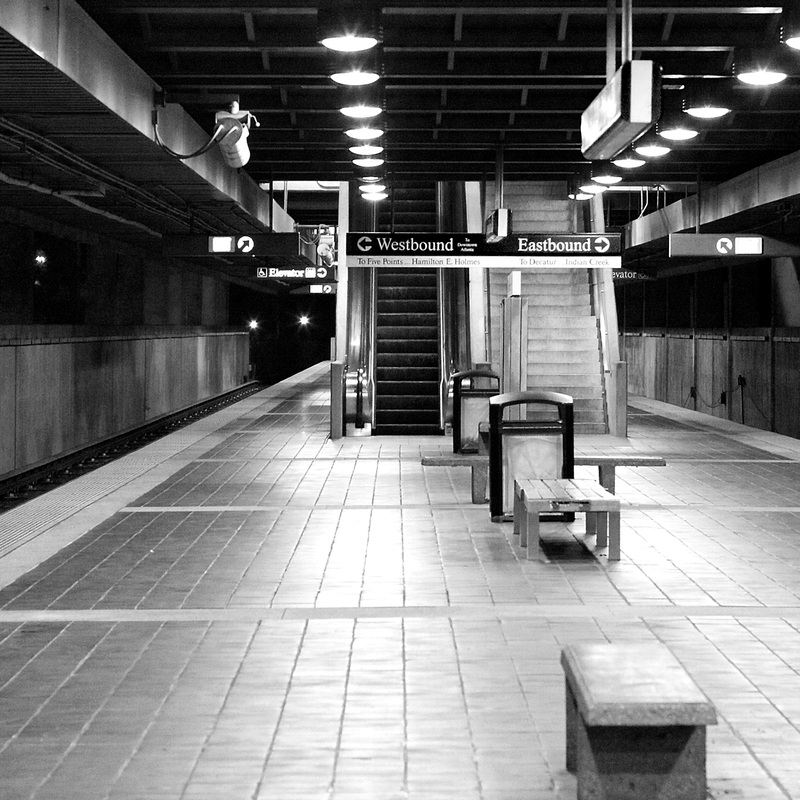 The Edgewood-Candler Park MARTA station sits directly in the heart of Edgewood, just a few blocks behind the Edgewood Retail District. This MARTA location is revolutionizing Atlanta's train stations. The Edgewood-Candler Park MARTA will be the first station to create a mixed-use development, including apartments, retail shops and green space, in the area that's currently the station's vast, underutilized parking lot. Instead of viewing an empty parking lot in the middle of Edgewood, residents will soon start seeing places to shop, eat and live. This project is planned to cost $2.45 million and cover a span of 6.4 acres that's currently part of the Edgewood-Candler Park MARTA station. MARTA officials hope to finish the first phase of development in 2017. In the meantime, Edgewood residents can conveniently hop onto the MARTA and ride one station to the Inman Park/Reynoldstown stop, which connects with Freedom Park and the Beltline. From there, people can take the Beltline to a massive variety of Intown locations – including Piedmont Park, the Highlands, O4W – without ever needing to hop into a car. Alternatively, Edgewood residents can ride just one stop in the other direction to reach the East Lake Station, which opens into the heart of this thriving neighboring community. Airport access from the MARTA is a breeze, as well. (No pun intended). PATH pedestrian and bike trails run through Edgewood neighborhood, cutting into Coan Park. Edgewood is located near many of Atlanta's top-notch parks. Coan Park, nestled in the heart of Edgewood, features a playground, neighborhood gardens, a tennis court, and outdoor gym equipment along the PATH. 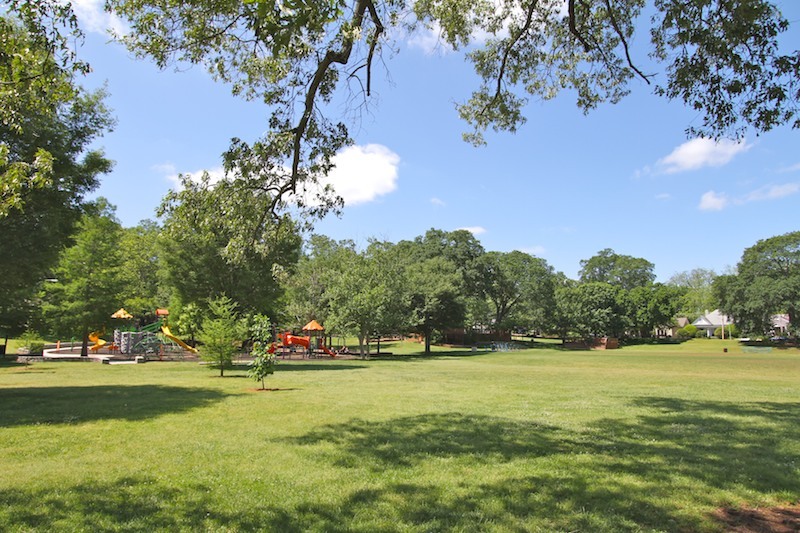 Several blocks east, Bessie Branham Park, located in Kirkwood near the Edgewood border, is a gorgeous 7-acre park with a $2 million recreation center featuring a gym, tennis and basketball courts, a baseball field and a playground. Meanwhile, the 200-acre expanse known as Freedom Park is located just one neighborhood over. Freedom Park is a favorite spot for jogging, dog-walking, and cycling. The Carter Center, a nonprofit NGO that advances human rights, sits at the center of Freedom Park. Finally, Candler Park borders to the north of Edgewood. This 55-acre setting is one of the most famous and popular parks in Atlanta. The annual Fall Fest (known as "Candler Park Fest") draws a crowd of 10,000 people and features live music, an artist market, a 5K road race and a tour of neighborhood homes. Centrally located near shopping, dining, nightlife and plenty of outdoor activities, and surrounded by other vibrant neighborhoods that comprise Atlanta's thriving Intown community, Edgewood is a community that's in the path of progress. Please contact us if you're considering embracing Edgewood as your new home.